Istanbul, Turkey (November 4, 2013) — Polin was recently named as one of The Turkey100, a prestigious list of “game-changing entrepreneurs” identified by AllWorld Network. AllWorld cited Polin among the businesses referred to as some of the world’s fastest-growing young companies that “are pioneering solutions in old and new industries.” The organization noted that the distinguished firms had collectively created 11,000 jobs in three years. Polin has become one of the world’s leading companies in the design, manufacture and installation of waterparks, waterslides and water-play attractions. Specifically, Polin has been a pioneer in the advancement and application of closed-molded manufacturing technology in waterslide development. Its forward-thinking innovation has led to the firm expanding its operations throughout Asia to Europe, China, Canada, Australia, the United States and beyond. 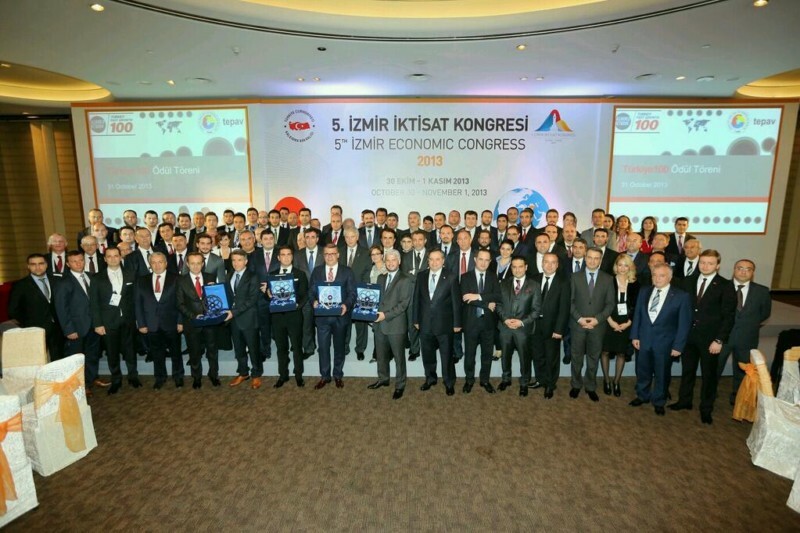 The list of honorees on the list was announced during the AllWorld Turkey100 Awards Gala, which took place during the Fifth Izmir Economic Congress on Oct. 30. The event was opened by Turkey’s President and Prime Minister Recep Tayyip Erdoğan and hosted by AllWorld Network, the Ministry of Commerce, the Union of Chambers and Commodity Exchanges of Turkey (TOBB), and the Economic Policy Research Foundation of Turkey.